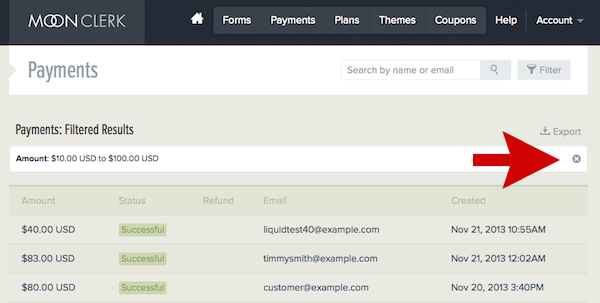 How do I filter payments? 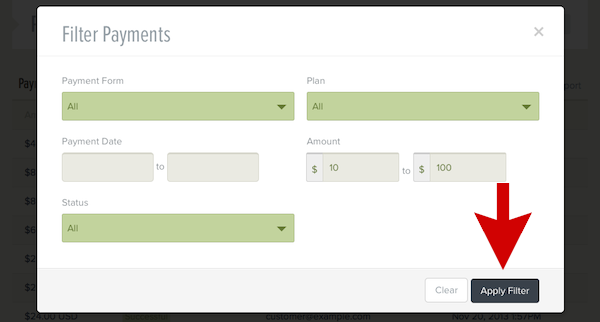 4) You can now view your filtered payments as well as which filters you've applied. If you would like to clear the filters, you can click on the "x" in the container that lists your filters. At any time you can click the Filter button again and filter by different choices.